Here’s how you can be more successful with your setup. 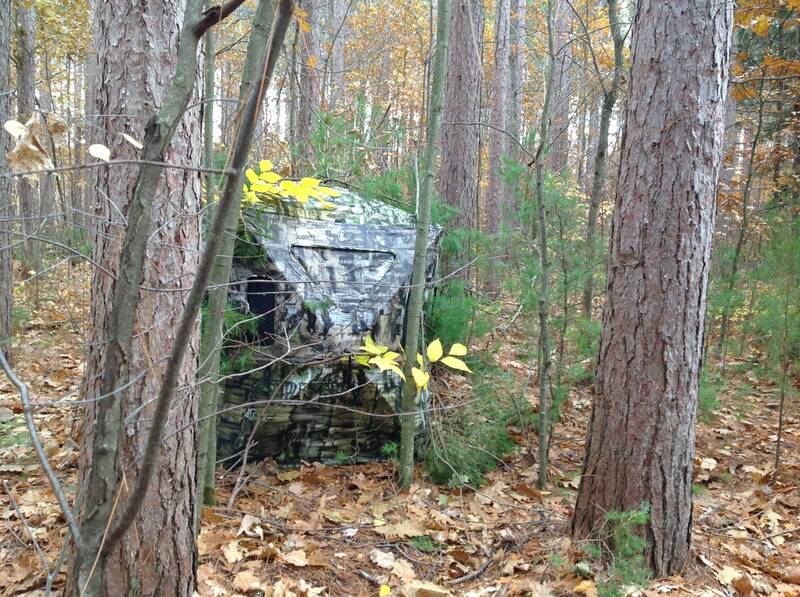 Before you even pop up that new blind, choose your spot wisely. Look for natural shooting lanes and animal sign. Also, consider a backdrop for your blind that will allow it to blend in. Sometimes that can be a tangle of brush, leaves, or some naturally hinged trees in the background. 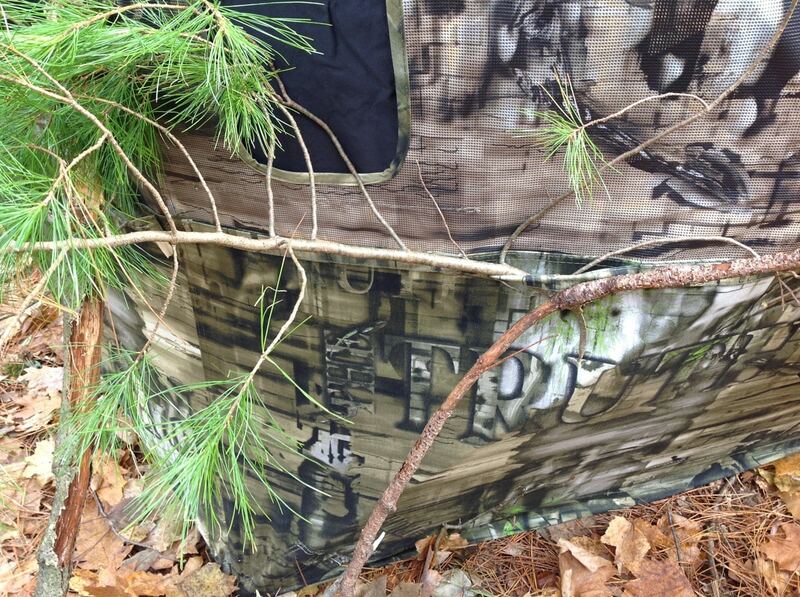 Even when that’s not an option, savvy hunters will wander out in search of some matching vegetation to break up the outline of the boxy ground blind. While you may remain concealed inside, and animals are often naturally curious, a square outline is easily noticeable to both critters and other hunters alike. 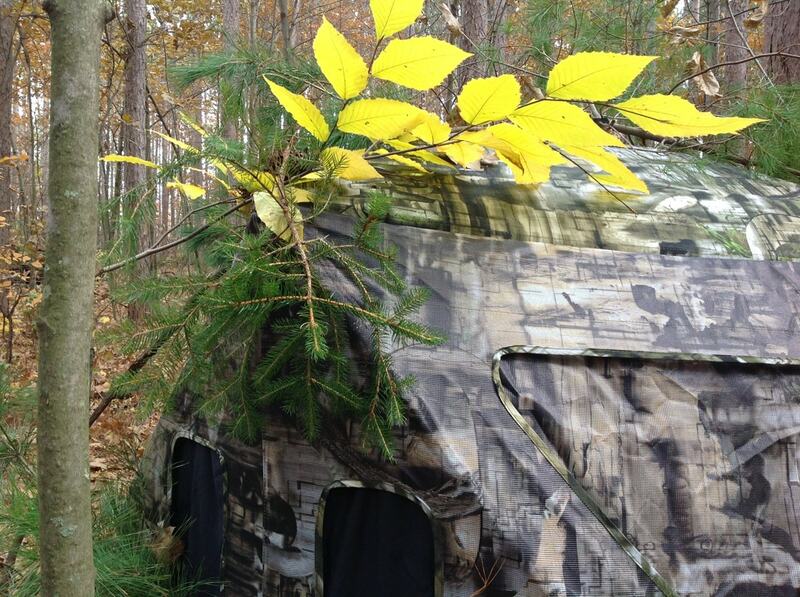 Use the “brush loops” provided on many ground blinds to attach the vegetation you’ve picked. Make sure to use a mix of natural material. Dead branches can break up the overall outline, while leafy or pine boughs kept away from shooting openings do the most for giving the blind’s flat surface a natural, three-dimensional appearance. Even without brush loops, hunters can still create a framework of forest detritus using paracord or zip ties, with the end goal of breaking up the squarish outline of that ground blind and helping the hunter disappear in the woods. 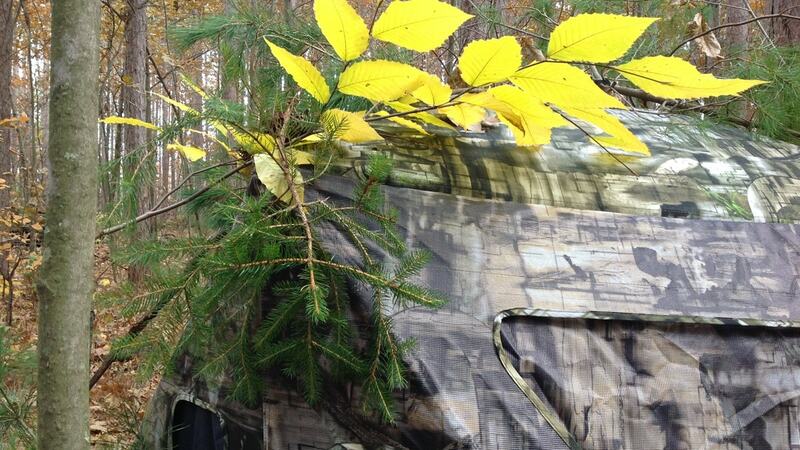 Taking a few extra minutes to better camouflage that tent can only serve to increase the odds of a successful hunt.